DTLA bar and restaurant Brack Shop Tavern has quickly become a neighborhood staple since opening in September 2016, largely due to the hospitality of Chef Christena Quinn, who has helmed the kitchen since day one. 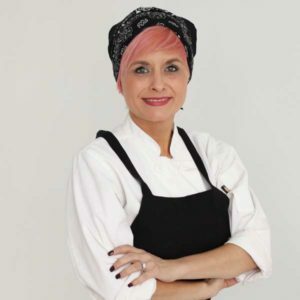 Raised in Whittier, Chef Quinn is a chef, mom, wife, and restaurant industry veteran who has worked every aspect of hospitality—from host, to bartender, management, corporate training, and catering—all leading her to the doors of Brack Shop Tavern. As the face of the Brack Shop Tavern family, Quinn makes every guest feel welcome through the restaurant’s relaxed, fun environment and regular in-house programming. When Quinn is not in the kitchen, she enjoys watching documentaries (especially about food), spending time with her two kids, and learning about photography.